In June 2017 we wrote a blog post about putting the “personal” back into personal training and how our identity and philosophy as a team had changed since Chris founded the company previously. We shared our new ethos, “stronger, healthier, happier” and outlined the kind of service we wanted to be bringing to our clients – one based entirely around them. Well, over the last year and a half we have kept our clients at the centre of everything we do, with training and nutrition developed to suit every single individual we work with. While our clients were building healthier and stronger lifestyles, we were proud of them but growing increasingly frustrated with what we could deliver. There was so much more we wanted to do for them – we wanted to increase our sense of a community, we wanted to be able to hold events to boost client education around health and fitness, we wanted to be able to programme without limitations, without worrying about whether kit would be free or whether our training environment would be nice. So, in January of 2018 we sat down as a team and made the decision to open our own private personal training studio. 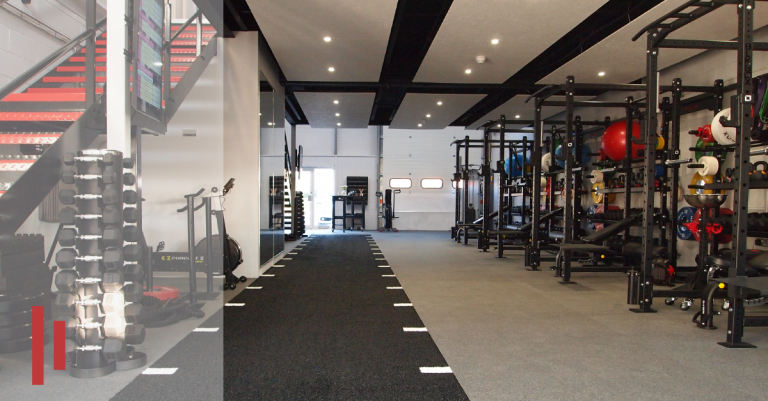 After years spread out as personal trainers in Summertown, Central Oxford and Botley, we wanted to create a better environment for our clients. One that isn’t intimidating or busy, one where you would never have to fight for kit. One where everyone is supporting everyone else and the entire team is professional. Most importantly, we wanted the freedom to create a cutting-edge personal training programme that delivers results. We wanted our team, our kit and our training principles. Fast-forward ten months and by some miracle our own studio is open and operational. But what do we want going forward for our members, what does it mean for them? We want everyone who works with us to be able to come to the studio regularly and to look forward to their sessions. We want to provide somewhere people can work on their long-term goals, ensuring they last into the future. We want a studio where everyone feels welcome, smiles at everyone else and provides that support network. We’ve only been open three weeks, but we think we can see that culture emerging already. We know that personal training has traditionally been very expensive, while gym memberships often lack the specific guidance needed to ensure results. That’s why we’ve developed a system making personal training three times per week or more affordable, one with built-in time each month to ensure you’re always progressing, and one that ensures constant motivation from those around you. With our mixture of private, semi-private and small group personal training sessions, we believe our members can have the best of it all; more contact time for a reduced cost, with everything still tailored to them. The last eighteen months have been a huge transition period for us. Who knows what we’ll be reflecting on in eighteen months’ time!? But for now, a huge thank you to everyone who has supported us over the last few months, and everyone who is bringing our new studio to life with their enthusiasm, dedication and hard work. We feel that we’re finally able to offer the kind of service our members should demand of our industry, and we can’t wait to put you and ourselves to the test, getting you the results you deserve with some laughs and coffees along the way.